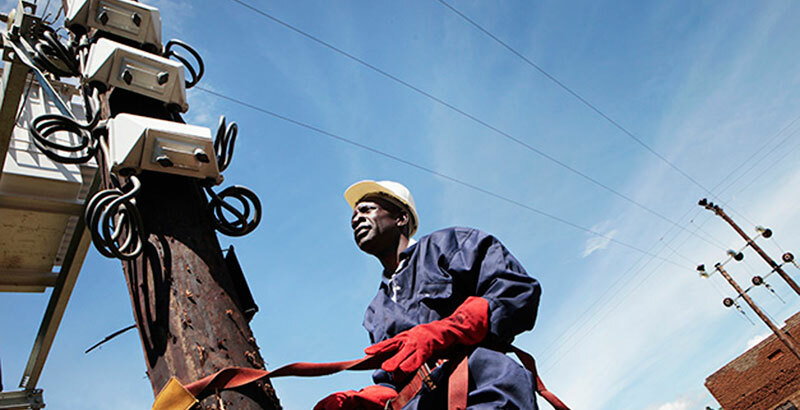 Uganda’s monopoly power distributor Umeme Ltd says that power losses arising largely from power theft have substantially fallen by half over the past five years thanks largely to the impact of the pre-paid billing system known as Yaka. According to Stephen Ilungole, power losses have fallen to 19% as at end of 2016 from highs of 38% in 2011. He says the company is on track to reducing losses to 16.2% by the end of 2017. However the otherwise glossy figures have triggered more questions and some are wondering why power tariffs are not reducing since power losses are factored into the end-user tariff that consumers pay. According to Dickens Kamugisha, the Executive Director of the Africa Institute for Energy Governance (AFIEGO), Umeme gets paid more than US$3million (Over Ushs3.6billion) for each percentage point of power lost. He said this revelation was discovered by Gen. Salim Saleh’s investigation in the energy sector last year. “If you were to convert the reductions in power losses, we would be saving up to 57m US dollars every year (Approximately Ushs200bn). This is a substantial amount of money that would at least have caused a reduction in the tariff,” argued Kamugisha. On the contrary, Ugandans are paying the second highest tariff after Rwanda, despite the fact that a lot of the power consumed is generated from run-of-the river hydro-power dams. Kamugisha blames the high cost of electricity in Uganda purely on corruption. He says that corruption started from the offices of the technocrats and politicians who signed the defective power purchase agreement between Uganda and Umeme Ltd. According to Kamugisha, government agreed to pay up to US$3m for each percentage of power lost. In addition, the government agreed to pay a substantial amount of money to owners of companies that own thermal diesel engines even when the companies are no longer generating power. Kamugisha also doubts whether the power that is expected from Isimba (183Mega Watts) and Karuma (600 MW) will benefit Ugandans as is being touted. “When Bujagali was being built, government said it would be buying power at US$ 5 cents (Approximately Ushs180). Instead UETCL buys power from Bujagali at US$ 11 cents (Approximately Ushs 400). one wonders if this will ever be a reality,”added Byamugisha. And although President Museveni directed his minister to negotiate a lower cost for Bujagali power, the plan is yet to bear fruit. Need for a forensic audit? Kamugisha argues that in order to get to the bottom of the rot in the power sector, government should institute a forensic audit. “ERA itself admitted that it does not have the capacity to regulate the sector. They asked for an amendment of the ERA act to get more powers to supervise the sector, something that has not come to pass four years down the road,” argues Kamugisha. Kamugisha’s comments also mirror concerns that were expressed by energy experts indicating that highly placed politicians and business persons have strong stakes in a number of electricity sector companies such as Umeme, Eskom and Hydromax. Ilungole confirmed that indeed money has been saved due to a reduction in power losses but adds that the savings have not translated into lower tariffs but have instead gone into clearing government arrears. This means that Umeme customers are meeting the cost of government inefficiencies. He pushed the blame of high tariffs on the Electricity Regulatory Authority (ERA) adding that the current schedule 2016- Sept 2017, ERA reduced tariffs by a mere -1.6% from 696/= to Ushs686/= per kilowatt hour. Following the introduction of Yaka, some consumers are breathing with a sigh of relief from the previously high cost of power while others say they see no difference. Florence Namazzi, a resident of Kisowera village in Kawempe Division, argues that besides the fact that the new billing system saved her from worrying about the accumulating bill, she pays almost the same money. Peter Namutegere, a barber and resident of Maganjo village Kawempe Division says Yaka saved him constant quarrels with his landlord. “The landlord used to charge us Ushs 20,000 per business and non business apartments and yet it would still not be enough to last the whole month. To make matters worse, tenants who rented the non commercial apartments were reluctant to pay up, forcing us in the commercial ones to pay the sacrifice which was of course to the detriment of our businesses,” Namutegere recalls. “But now I pay only Ushs15,000 at the beginning of every month and surprisingly I never use up the units by the end of the month!” he joyously adds. “The system has no clear criteria for determining how much one gets after paying and many times we feel being cheated because there are many times when we pay less money and get more and yet there are other times when we pay more money and get fewer units than we expect and we get very frustrated,” Katumba complained. But Ilungole attributed Katumba’s class of complaints to lack of information which he says Umeme is working hard to improve.